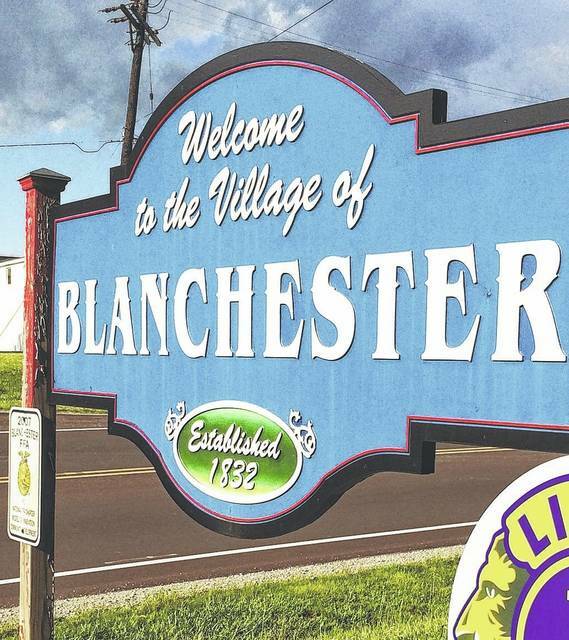 BLANCHESTER — A Blanchester resident filed a report with the police department last Thursday alleging he had been assaulted by a member of the Board of Public Affairs during their meeting earlier that evening. The News Journal obtained a copy of the police report via a public records request Wednesday; the report was received via email Wednesday morning, with the alleged suspect’s name redacted “under the ‘uncharged suspect’ exception to Ohio’s public records statute,” Reinbolt told the News Journal via email. At that meeting were potential witnesses including Mayor John Carman, Vice Mayor Cindy Sutton, council members Don Gephart and Reilly Hopkins, and two other attendees, the report states. After the executive session ended, the reporting officer stated that he spoke with (suspect’s name redacted), who “said Jim Constable ‘was running his mouth’ during the meeting as Jim routinely does in all of the past meetings and upon completion of the finance meeting, the suspect told Jim to leave” and that “(name redacted) said Jim then asked him ‘why are you such an (expletive)?’,” the report stated. “And Jim got up from where he was sitting and started to aggressively come toward him” and “(name redacted) demonstrated a brisk walk with fists down to his sides” and said that “once Jim got up to him, (name redacted) stood up from his chair and Jim went back to his chair and sat back down” according to the report. “(Name redacted) said Jim continued calling him an (expletive) and (expletive) … and (name redacted) went over to where Jim was sitting and gently tapped on his foot to grab his attention and told him, ‘Come on’ … as in telling Jim he needed to leave. (Suspect) said after, Jim said he got it all on tape and started ranting” and that “as they were entering executive session, and Jim got up and while walking out continued calling (name redacted ) names,” according to the report. Later in the report, the officer states, “I asked him (Constable) to step into the police department with me, which he did. “Jim asked if everyone in the meeting lied and said he started it, and I asked Jim if he had a recording of what happened,” the reporting officer wrote. “As this is an ongoing criminal investigation, we will have no further comment on the matter until the investigation is concluded,” Reinbolt told the News Journal. Mayor John Carman declined to comment when contacted by the News Journal Wednesday morning.